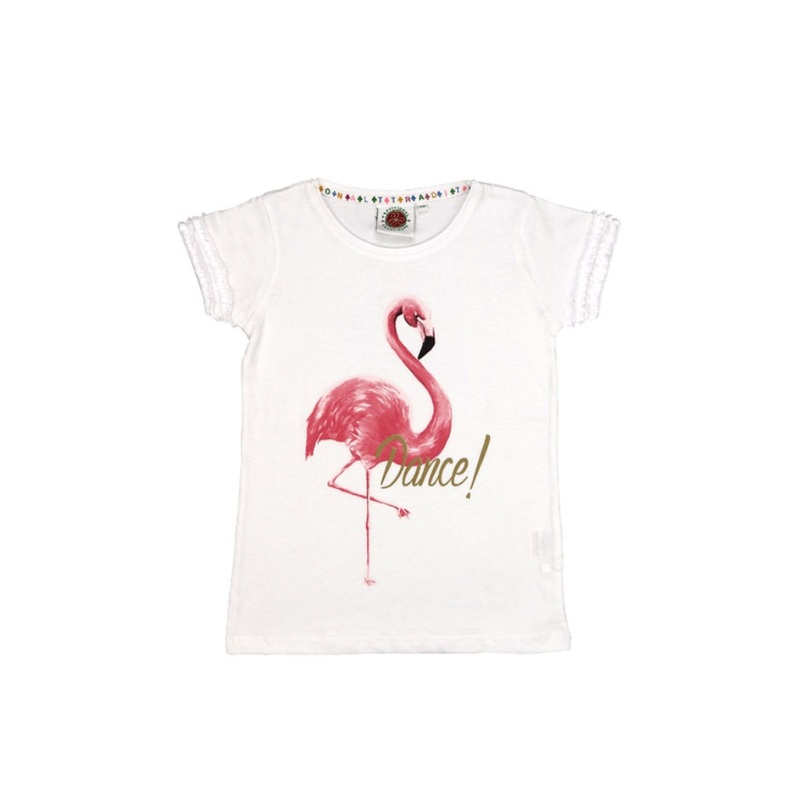 Let your child dance like a flamingo with our white flamingo t-shirt. On the front of the t-shirt, there is a bright pink flamingo, which stands out with dance across the front. This is a fun cute t-shirt to add to your child’s wild wardrobe. Made from 100% cotton. The top is a classic neck with short sleeves. This is an exclusive ZSL design.